WE HAVE 5 DOUBLE SIGNED COPIES OF THE GO AWAY BIRD. This delightful new book is signed by the bestselling Julia Donaldson and the award winning illustrator Catherine Rayner. We have plenty of signed copies of all Julia's books in stock. 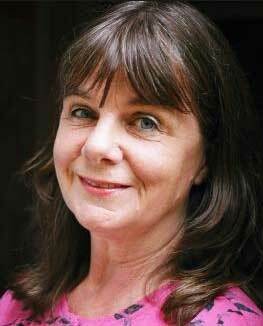 Our online bookstore has been set up to allow secure online ordering of SIGNED editions of Julia Donaldson's books, and for books of particular local interest, which may be unavailable elsewhere. We are not at the present time offering our general stock for online ordering, as we would prefer you to use your own local independent bookstore! All of Julia's picture books, fiction, songbooks, and early readers are available here, but some of her earlier educational titles and plays are harder to track down - if you don't see what you are looking for here, please email us with your query and we'll do our best to track it down. We have a large stock of Julia's books which she has kindly signed, but on occasions where we have run out, we will get in touch via email or phone if there is likely to be a delay while we wait for Julia to pop in and top up our signed stock! Feel free to get in touch by email or phone if you have any queries about signed stock. Sadly we are unable to offer personal dedications by Julia - for that, you'll have to catch her at one of her many events! 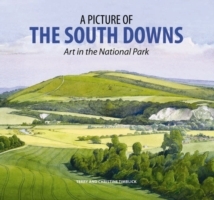 Our local interest books are chosen for having a particular relevance to Steyning and the surrounding area, we are also offering a few novels and autobiographies written and published by Steyning residents. All books are priced at their RRP, and for shipping charges, please see below. SHIPPING & RETURNS - Delivery of books ordered online will be by 2nd class UK Royal Mail. At present we only fulfil orders for delivery within the UK. You should expect delivery within 4/5 working days under normal circumstances. We will notify you via your email address if there is a problem. Shipping costs will be £2.90 for all orders up to £30, over this it will be free. We will refund the cost of 2nd class return postage and your original book(s) and shipping charge if they arrive damaged. We will also refund the original cost of books if you change your mind and don't want them and you return them in original condition at your own cost. Please read the full terms and conditions by clicking on Terms and Conditions on the site map at the bottom of our website pages.